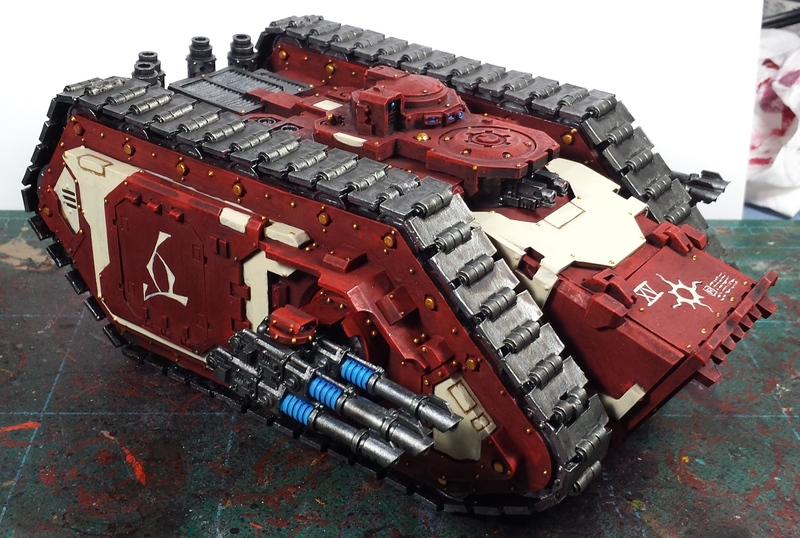 Took a little time and laid in some hull markings on the Spartan yesterday evening, the legion symbol and some decorative text on the upper hatch, and continuing the theme from the Vanquishers, an eldritch rune on the side doors. At this point I think it's ready for weathering - time to break out the sponges! 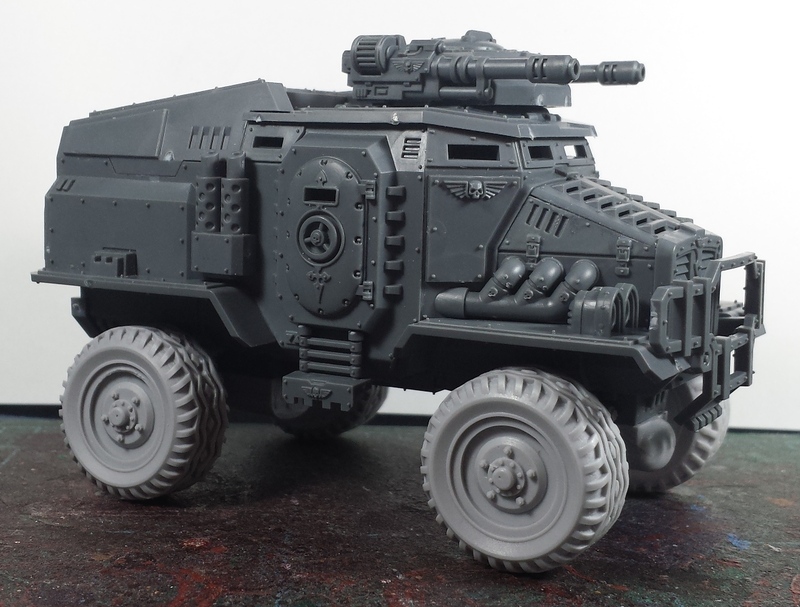 The Taurox are pretty tiny - bit large for a Centaur, but pretty small. 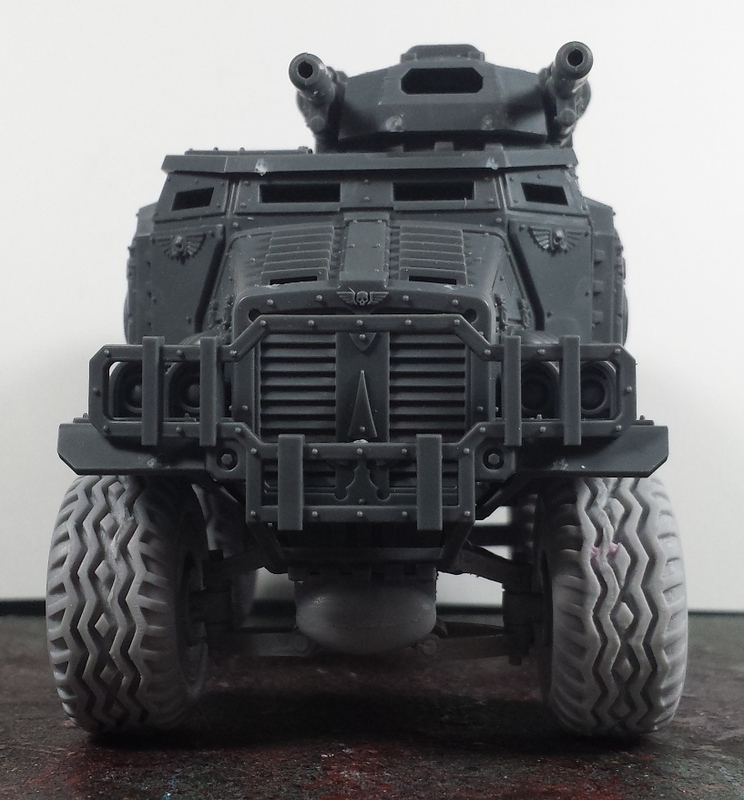 I was surprised when I picked one up on release day to make that conversion kit - I was thinking "ok, one or two in the front, two in the back, the only thing that remains to be seen is if it's 6 or 8 wheeled in the end" and nope, not large enough for either. I have to say, these heretics are shaping up very nicely, Mord. Yeah that tank is totally sponge worthy - wait, what?! 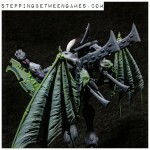 Also, that up armoured pig looks boss with those wheels!!! sWEEsWWE! i MEAN, sCREECH ScreeCH! That Spartan is an incredibly mean-looking beast! You Sir are a painting machine!! Love the Spartan so far, I think the bone front panel still needs something tho, maybe Legion Number? LR is boss. Your free hand symbols, etc are just getting better and better mate. Well done. @Pawn Cocktail: Indeed, it's definitely got an aggressive vibe to it! @Dai: Cheers! 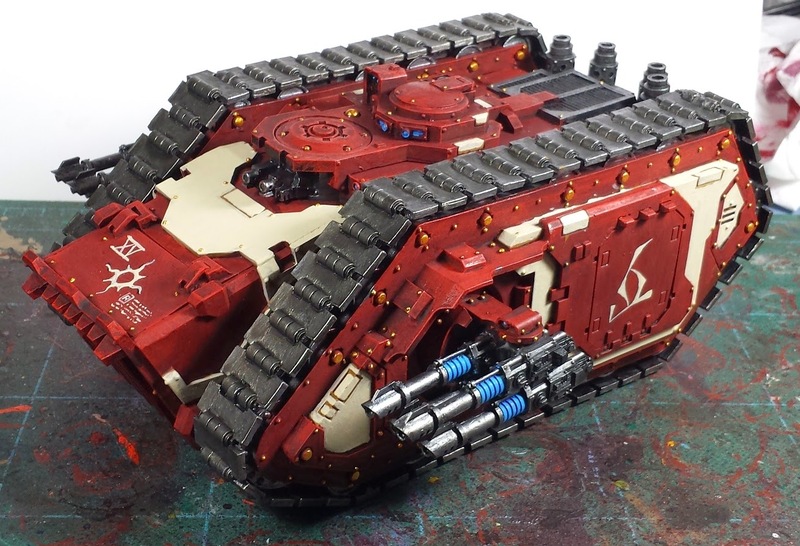 Yeah, I run hot and cold on the Taurox even with the upgrade. Far better than the quad tracks, but it still seems to be too narrow for its height. Was hoping for a Cargo 8, got an oversized dune buggy! Looking great! Happy new year! Looking for another great year of your constant great production! Spartan look ace! Hoping to get one myself soon. 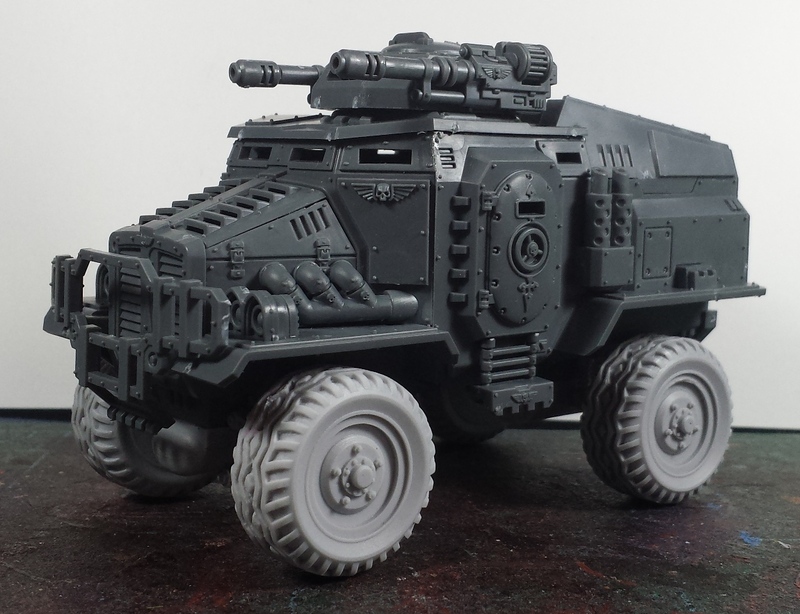 Adding Wheels is the way to go with the Taurox - I've seen 4x4 and 6x6 but I've yet to see either of these kits used to make a halftrack, which I think would look neat. @Greg Hess: Thanks man - to you as well! @#2501: Indeed! I'd love to see what you'd do with one, man - it's a cool little conversion kit!